• Developing and using skills for service, leadership development, and personal growth. 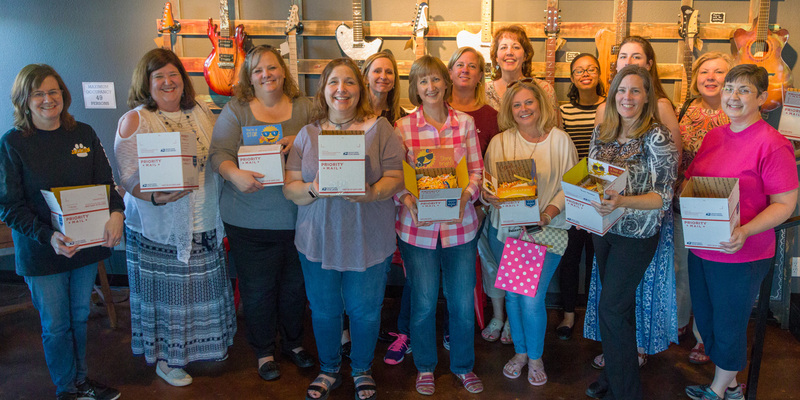 Small groups within the local church's UMW group participate in and support the purposes of UMW. Monthly meetings include prayer and sharing time, plus a speaker, program by a member, or an activity. Guests and new members are always welcome. Our UMW unit regularly supports four local missions. Each circle is assigned a local mission, and they are rotated every two years so everyone has an opportunity to learn about each organization. We support each mission in various ways and keep abreast of needs and events by having a representative on each board. Our unit supports Methodist Hospital throughout the year. Our mission focuses on infants and new mothers. We donate Halloween tray favors, layette sets, shot dolls and infant eye covers (for infants under lights for jaundice). We donate red Christmas stockings and knitted white hats for the Christmas babies to be wrapped in to go home. Let FUMCR be the place for your next important celebration! The United Methodist Women of FUMCR will help with any celebration that you choose to have at the church campus. We will set up, serve and take care of replenishing the food and drinks during the event. And when it is time to clean up, we do that too!! Contact Nita Ulaszek, 972.742.4657, our Celebration Coordinator, for information on how we can help you give a celebration and enjoy the party as well. Let your celebration be a gift to others! UMW members volunteer, and the money earned goes directly to fund ministries to women, children and youth. While you have a great celebration, you also contribute to the wonderful family missions for the United Methodist Church through United Methodist Women. Unit events are listed here. Refer to individual Circles for their regular meetings and special events.